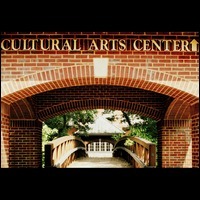 Roswell Cultural Arts Center is dedicated to bringing a broad spectrum of performing and visual artists and diverse audiences together to enrich the cultural life of the community. The center features a 600-seat theatre for performing arts and corporate meetings, additional meeting rooms, a large lobby/reception space, an exhibit hall, archives and a research library, ample free parking and more. Parking: Roswell Cultural Arts Center is located in the Roswell Municipal Complex, between the Roswell Library and City Hall. Ample free parking is available.